Dr Vallant’s Portefeuilles (Bibliothèque Nationale de Paris) are a hodgepodge of information, with recipes for gateaux, remedies in French and Latin, medical case notes, letters, religious reflections, and poems kept side-by-side. Vallant was the household physician of famed salonnière Mme de Sablé (d. 1678) and, later, Mlle de Guise. He was also regularly consulted by Madame’s friends and family and acted as her secretary. Vallant kept track of all treatments that he tried and the remedies that proved, or might prove, useful in his practice. The notebooks, in some ways, have much in common with our modern personal recipe collections: lots of random bits, from clippings to notes. But it is the informality of the collection that makes it such a useful source of information about the process of collecting and using recipes in early modern France. 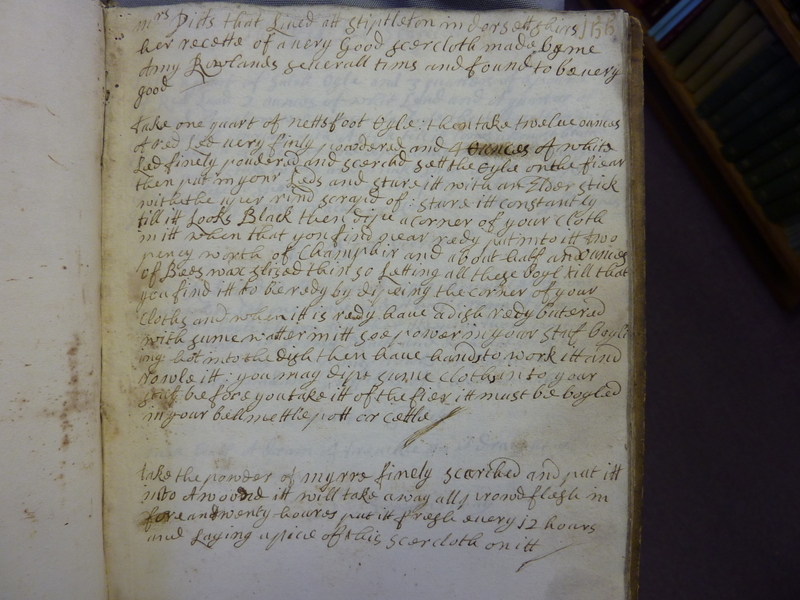 The language that Vallant used to describe the transmission of recipes is intriguing: several of his recipes suggest the ways in which knowledge was passed to him by monks and nuns, apothecaries, physicians, and laywomen. 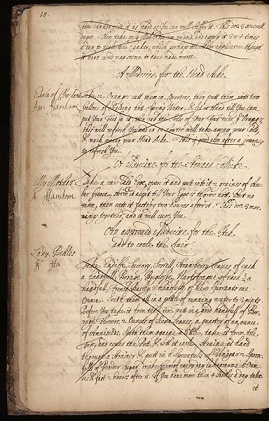 Recipes were a form of social currency and were closely tied to patronage. This isn’t always explicit in English, but emerges more clearly in the formality of French. The Duchess of Orléans, for example, seems to have been the originating point for a couple recipes. Mme de la Haye (wife of the Duchess’ apothecary) ‘gave’ a cure for the sciatica, while Mme la Ursée (the Orléans’ governess) ‘shared’ a small pox remedy. 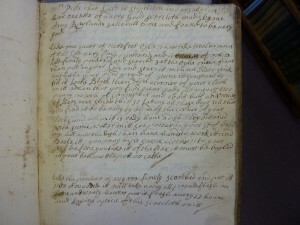 The language here suggests that these recipes were gifts of the Duchess. The reliance on oral knowledge is also striking. Vallant regularly noted that recipes had been passed verbally to him. Various people ‘told’ him their remedies, which he then entered into his notebooks. Mme la Norrice, for example, ‘said’ that after trying many remedies for toothaches she found ease only by putting cold water in her ear. Physician Mr Belay was a particularly frequent source of oral information. 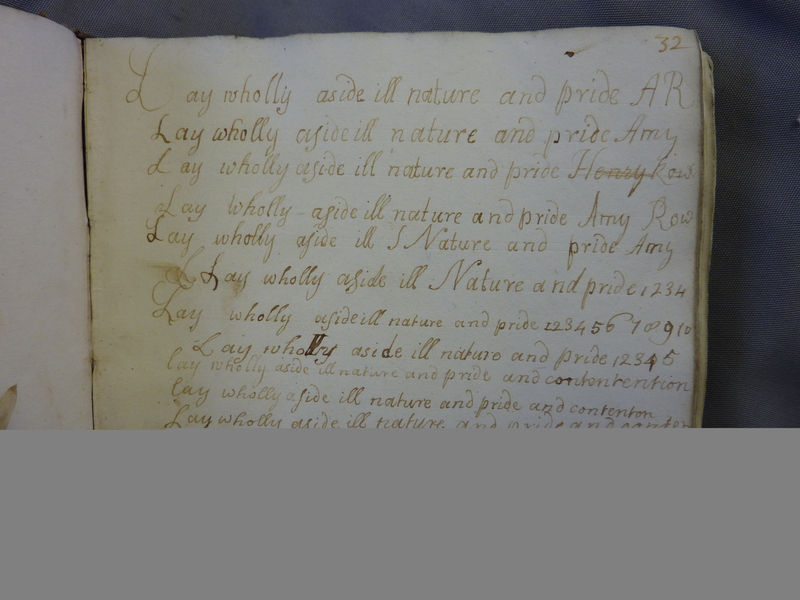 He ‘told’ Vallant a remedy for the ‘colours’ [vaginal flows] in 1676 and ‘discussed’ several for blood loss in 1681. Recipes also took winding routes before ending up in Vallant’s possession. Belay ‘told’ Vallant a remedy for the stone that had been passed to him by Mr de Fromont, secretary to the Duke of Orléans, who had it in turn passed it to him. Belay had used the recipe with great success in treating a mutual patient, Mme de Guise. Vallant also included in his collection occasional recipes from print sources, listing some from Mme Fouquet’s famous book and keeping a cut-out excerpt for Mme Ledran’s balm and unguent. The Marquise de Sablé was condemned by historian André Crussaire as a hypochondriac (Un Médecin au XVIIe Siècle le Docteur Vallant: Une Malade Imaginaire, Mme de Sablé, Paris, 1910), partly because she kept a household physician and partly because so much of the notebooks and correspondence focus on health. But a close inspection reveals that much of the collection was Vallant’s attempt to keep track of his growing medical practice by writing down his successful cures. Under the heading ‘Escrouelles’ (King’s Evil, or scrofula), for example, he provided his case notes and recipe used to cure a thirty-six year old woman. 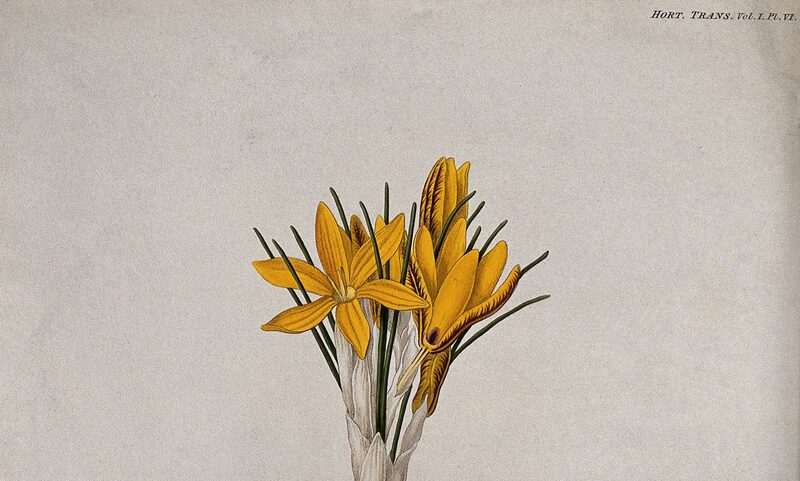 Elsewhere in the Portefeuilles, it is difficult to distinguish between what is purely Vallant’s or Mme de Sablé’s. In one section, there are several remedies for eye problems; it is perhaps no coincidence that Mme de Sablé suffered from eye trouble. Three letters were addressed to Madame directly. All eye remedies were sent by friends: Abbé Charrier, Mme Daumon, the Marquis de la Motte, Countess d’Orche, Mr Chartier, Mme de St Ange and Mlle de Vertie. But was this primarily for her use, or for her physician? 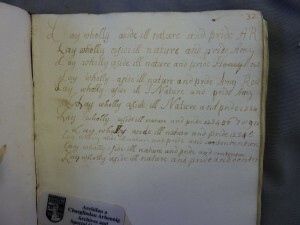 The books were kept as a practical source of working knowledge for both doctor and patron. The care taken in identifying a recipe’s sources and route of transmission was crucial in establishing two matters: reliability and reciprocity. Many recipes may have been passed on verbally rather than in writing, but this was no casual matter. 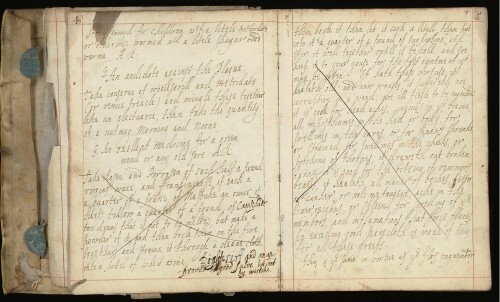 As physician, Vallant needed to know if a recipe could be trusted before he tried it. As patron, Sablé needed to know the precise source of a remedy for social reasons: a recipe gained might be a favour owed… Something to keep in mind the next time you casually take a recipe from a friend and proceed to cram it into your recipe box without a second thought.